Did you know that you can use coconut oil as a mouthwash? Coconut oil pulling is a popular Indian folk remedy that involves swishing oil inside your mouth for around 20 minutes or less. While it serves as an effective mouth cleanser, it does have negative side effects. 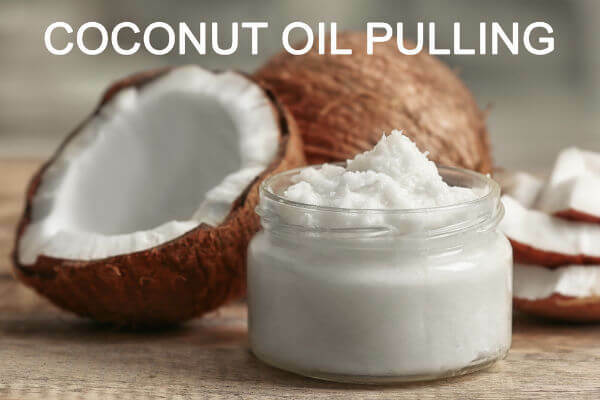 Learn the benefits and dangers of coconut oil pulling and products which are better alternatives to this folk remedy. Why Do People Use Coconut Oil? It cleanses the teeth. Coconut oil pulling advocates claim that the oil softens plaque, and cleanses the hard to reach areas of your teeth, as the plaque dissolves into the oil. At the same time, it prevents tartar from building up, since it eliminates plaque and prevents it from hardening and calcifying. Anti-bacterial action. Some research claims that coconut oil contains fatty acids and lauric acid that kills certain viruses, bacteria, and fungi. Its antibacterial properties also promote the healing of wounds and sores in the gum area. However, the Food and Drug Administration has not yet classified lauric acid as an antibacterial chemical. Without this designation, it is not safe to conclude that coconut oil can kill a full range of organisms, without further testing on this matter. But, one thing is sure…when you remove the plaque, you eliminate bacteria as well. When bacteria overstay in the sticky and hardened plaque, called, tartar, dental problems would most likely develop. Bacteria thrive inside the mouth when it has lost of sugar for outs nourishment, and as long as the tartar is not removed, bacteria would continuously grow in numbers. Bacterial plaque causes tooth decay, gingivitis and other types of gum problems. It prevents gum disease. When you remove the bacterial plaque from your teeth through coconut oil pulling, you could prevent bacterial acids from destroying your tooth enamel. Otherwise, these acids can start the spread of infection on your gum tissues and to the bone close to your teeth. Tartar or the hardened bacterial plaque gives bacteria a place to grow. Is Coconut Oil Safe To Use? If you use oil pulling as a substitute for brushing your teeth and flossing, cavities will build up. There’s a reason why toothpaste and floss were invented. Those products remove not only the plaque and bacteria but they also clean and freshen your mouth. Coconut oil must never be used as a substitute for good oral habits. It irritates your throat and produces mucus. When you swish coconut oil for almost 20 minutes, your throat mucus would thicken. It is irritating and you may cough it out so you can expel it. While some people are not bothered by this process others may find coughing out mucus, irritating and uncomfortable. Upset Stomach: when you accidentally ingest the oil which is mixed with bacteria and other contaminants from your mouth, it could enter your stomach. Some people cannot tolerate coconut oil and may have an upset stomach. Others are not so sensitive to coconut oil, but the contaminants and other organisms from the mixture can cause diarrhea. As the body tries to expel these harmful substances, the person may experience diarrhea. After cleansing the mouth with coconut oil, the mouth can be so dry. It is because the coconut oil mixes with your saliva, so when you spit it out; your mouth will be extremely dry afterward. When you accidentally ingest bacteria, your body’s immune system would activate, causing fever, body pain and other flu-like symptoms. You are most likely to sneeze and cough when oil irritates your nasal area. When you experience this- stop swishing right away. It will not be good for you to expose your nasal cavity to irritation. Sneezing could also be a sign of an allergic reaction to the oil. Coconut oil pulling takes around 10 minutes to 20 minutes. Loss of taste is one of the results of swishing for more than 5 minutes. When you lose taste, you’re most likely to lose appetite and eventually suffer from malnutrition. Coconut pulling is a tiring process for the jaw. Overusing and overextending your jaw could cause pain, stiffness, and swelling of the jaw muscles and tissues. If you don’t know the proper way of swishing coconut oil inside our mouth, you might accidentally inhale the oil and it will enter your lungs. Since it is already mixed up with bacteria and other toxins from your mouth, or from an unsterile bottle of coconut oil, it would infect your lungs and cause lipoid pneumonia. It could worsen your chronic health conditions. If you’re suffering from diabetes, heart disease or any other illness it is important to be extremely careful when using home remedies. Coconut oil may be a popular home remedy but it is not for everyone, especially those who have a low immune system, oil allergies, and chronic ailments. Any type of alternative medicine could interact with your medications, so always ask your doctor before choosing any alternative remedy. To play it safe, use dental products that have been clinically tested to remove tartar/plaque, whiten teeth and freshen your breath. Experimenting with coconut oil, may not be a good idea, especially if your knowledge on coconut pulling process is limited. When worse turns to worst, you may even increase your cavities, or destroy your health, just because you want to try out a so-called, tested home remedy for whitening and cleansing your gums and teeth.